Our Annual General meeting was held in August. The club's bank balance is looking healthy and Cass's annual report showed how busy the club has been. Here's a brief rundown of events in 2016/17. Annual garage sale in October boosted the club's bank balance. The automatic watering system was installed in November. A secondhand reel mower was purchased and a professional mowing man is now caring for our lawns. Christmas. What a feast we had! We started playing pairs for our weekly golf croquet competition. The Gateball Comp in February was a great success, despite record temperatures. And the Lithgow Lightnings won!!! 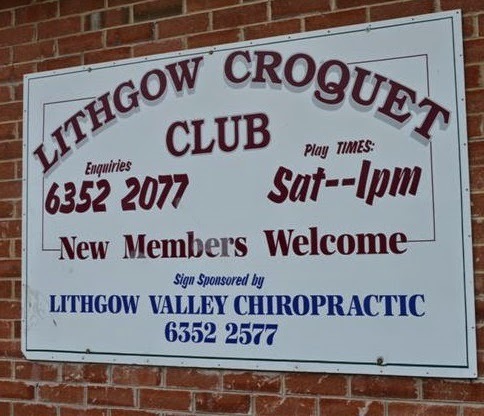 Fifth Saturday Fundays ensured rollicking good fun with the Pirates Game and much more.he local Uniting Care Group helped us celebrate World Croquet Day.hree triples teams visited Jamberoo for their annual comp and, yes, the Lithgow Lightnings won again. And once again Val Lyons has kindly agreed to be the keeper of the club scrapbook. Minutes of the AGM and monthly meeting are displayed on the club noticeboard. If you have any queries, do please ask one of the committee members. We're in the process of applying for some very exciting grants. We are seeking funding for a new roller door, a screen door to the clubhouse and some games equipment for our community groups and the 5th Saturday fun days. Centennial Coal has always been very supportive of our club and this year we are asking them to consider the purchase of a large and sturdy marquee which can be used for competitions and special events. And our big ask this year is to apply for a grant from this Fund to help us extend and improve our lawns and increase the space available for members in our clubhouse. Special thanks to Cindy for her sterling work in putting together a very professional grant application. Very best wishes to our team which will be taking part in the Australian Gateball Championships in Bateau Bay from 13th to 15th October. Good luck Bronwyn, Cass, John, Noel, Penny and Robyn. And many apologies to Bron who is missing from the photo. Club members may hit the catwalks soon in our fabulous new uniforms. These shirts were initially designed for club members taking part in the Gateball National Championships in October, but the shirts are available for purchase by all club members if they wish. And matching jackets can also be ordered for those chillier playing days. For more details of costs and how to order, have a word with Cass who has masterminded this project. The logo was formerly used by Lithgow City Council but as it is now no longer used they have kindly given us permission to use it. 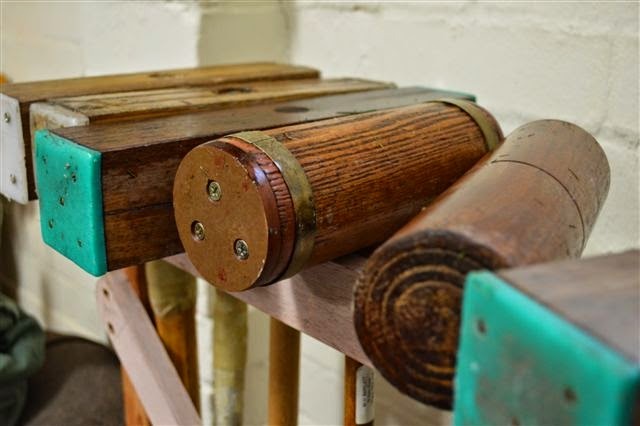 Sadly Orange Croquet Club has had to postpone its Golf Croquet Rules Workshop planned for early September. Hopefully this will be rescheduled later in the year and we will be encouraging our members to attend. Plus our special groups from CAS Blackheath and ALI Wallerawang every first and third Thursday at 10.00. Volunteers are always welcome.